There are many classic clashes between cultures throughout history. Rome vs. Carthage. Axis vs. Allies. England vs. France. AFC vs. NFC. Sheep vs. Goats. 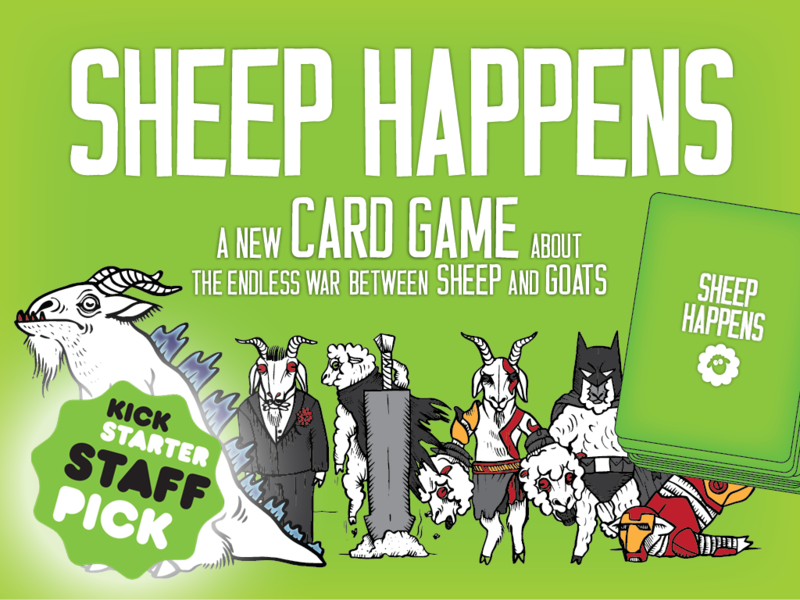 It's that final, most titanic of them all, that Deus Games has chosen to focus on with their Sheep Happens card game that's now up on Kickstarter. In the game, you must use your goats cards in order to steal your opponent's sheep cards. The first player to get to 7 sheep is the winner. However, the sheep won't go quietly. They will use fences to keep the goats out, or get all sorts of equipment to fight back. Plus, Event cards can really put dents in your strategy. The campaign is up now and set to run for another 22 days.